ESP's innovative curriculum is designed to train future environmental science, policy, and planning professionals for employment or graduate training. 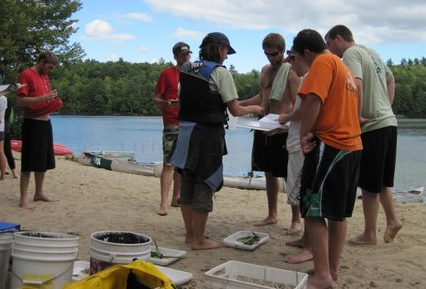 Our curriculum is based on active learning with a focus on problem-based learning researching local, regional, and state-level environmental problems. Our faculty have active research programs that inform their teaching and provide valuable opportunities for students. Most of our faculty have extensive private and/or public sector experience prior to entering academia and retain the practical, applied problem-solving perspective. Students gain professional experience through our internship program. Students become members of a larger learning community that starts with incoming students participating in our fall environmental field immersion experience. Our faculty are accessible, caring, and engaged.